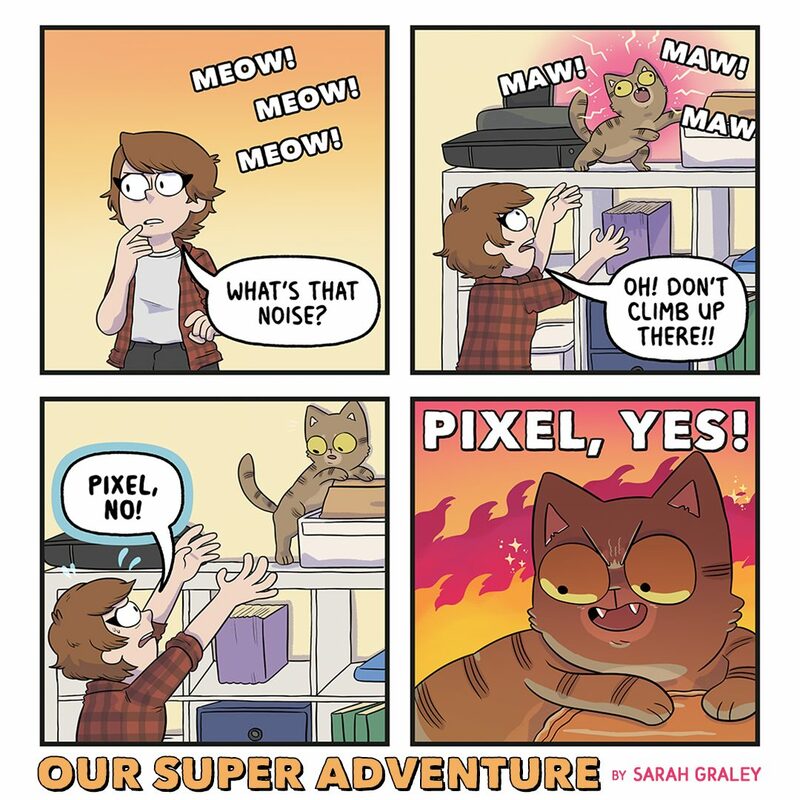 After this panel from hourly comics day earlier this year, I had to do a full Our Super Adventure comic in tribute to Pixel, the boy who must climb on EVERYTHING. What a rascal! 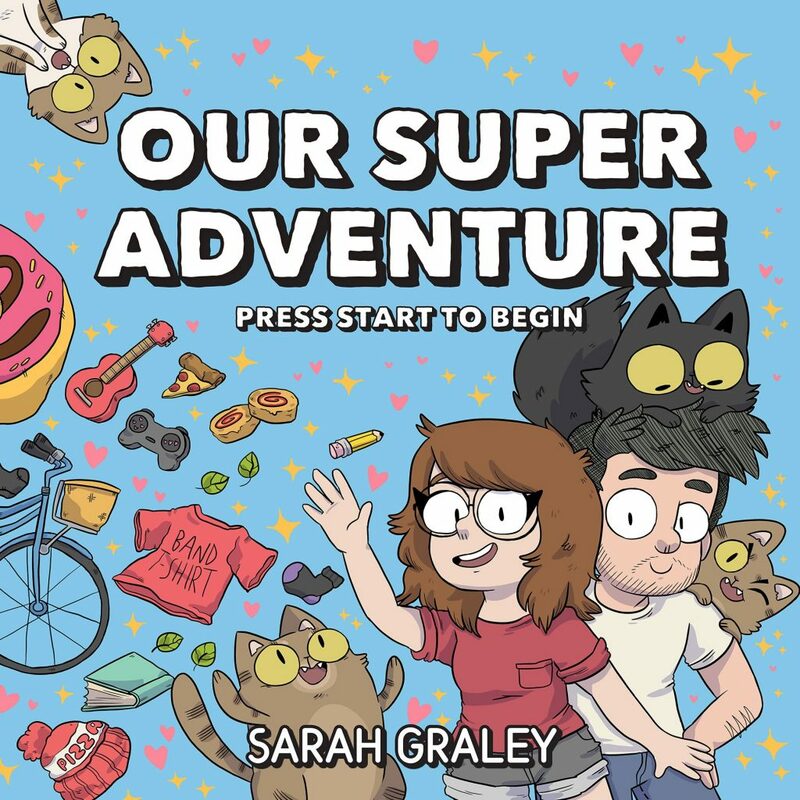 Our Super Adventure: Press Start To Begin (Volume One) – OUT NOW! 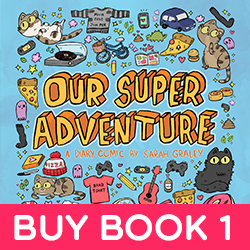 I’m overjoyed to announce that Our Super Adventure Volume One is now available from comic and book stores all over the world! 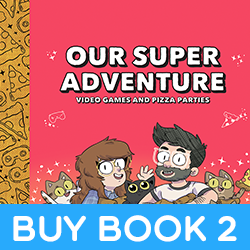 I’ve seen people from Australia, America and Canada pick up copies so far and I’m so happy that it’s now a lot easier to get a copy of Our Super Adventure! If your shop doesn’t have it – ask them to order it for you! 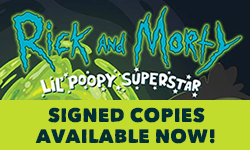 You can order it online from places like Amazon too! A huge thank you to everyone who came to see us in Dunfermline! It’s one of our favourite UK comic shows and this year’s event was bigger and better than ever! Thank you so much to Little Shop of Heroes for organising it – they always put on an absolutely wonderful show! 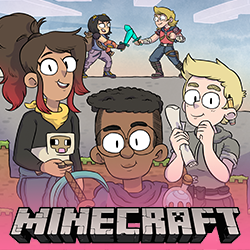 We’re going to be at MCM London in May! 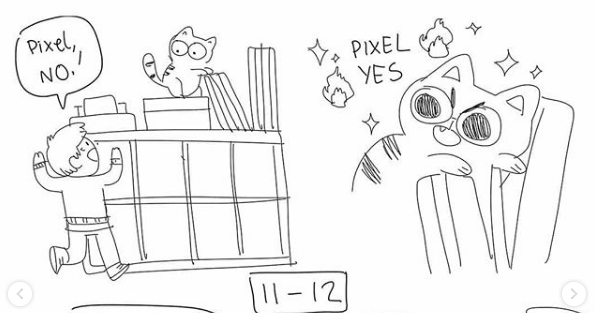 We’ll have a booth in the Comic Village area! 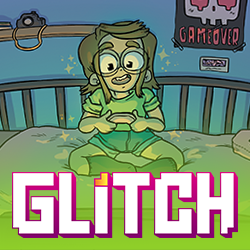 It’s the first UK comic show that I’ll have Glitch at which is VERY exciting! Maps and more information coming soon!